In 2016, the modern job world is fast-paced and rapidly changing. Potential employers care more about efficiency and skill than the years of experience under your belt. Now, more than ever before, we live in a world where the market rewards passion more than anything else. Fair and Lovely foundation helps women and girl students to become self-reliant through scholarships, career guidance, and online courses. The foundation has been supporting students for their education, career, and entrepreneurship. In order to further its efforts, the company has recently launched its career counselling and guidance platform in association with CareerGuide.com. We are all aware of the Indian mentality when it comes to choosing a career path. Traditional and clinched thoughts have often put students in an unspeakable dilemma. After choosing the wrong path, either they learn to accept the situation or they simply give up on their studies, thus turning into an average student. 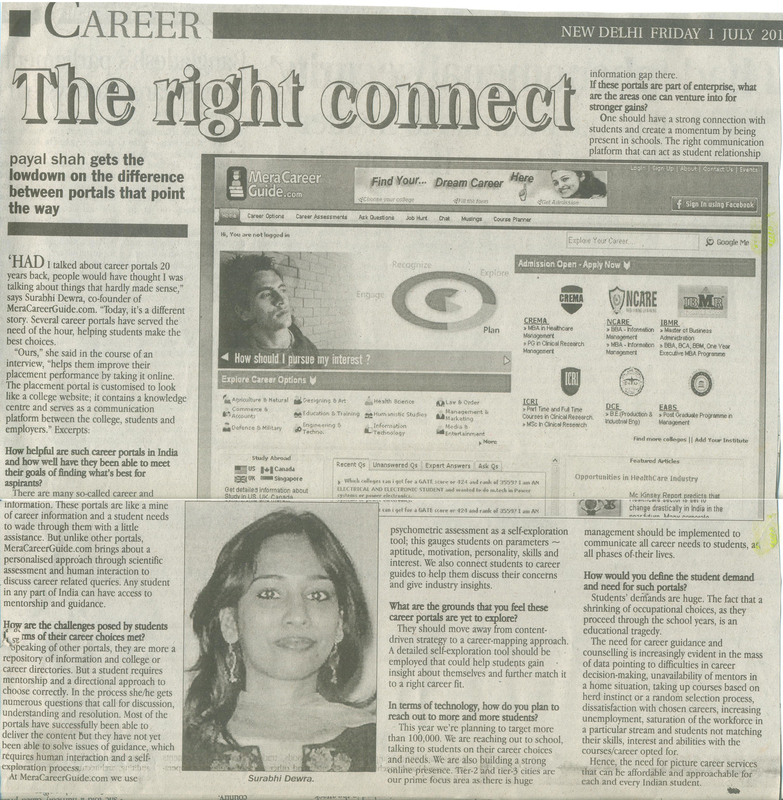 This situation had to change and this made Surabhi Dewra come up with careerguide.com, an education portal which mentors students in choosing the right career and the right institutions. Online learning has been a real game-changer in 2016. And, latest technological developments, funding and innovation have contributed immensely towards making it an effective alternative to traditional teaching processes. So, whether it’s MOOCs (Massive Open Online Courses) or SPOCs (Small Private Online Courses), both types of teaching have become instant hits with the student fraternity. Statistics from 2015 provide further proof to this trend. Do not despair if you’ve just graduated and have no idea what to do with your life. There are millions of people in the same position as you are now, because choosing a career path is very difficult. This is a very important decision that would have a huge impact on your future, so you mustn’t rush it. To finish all the owes of students related to career counselling, CareerGuide has taken a futuristic step. The startup has successfully launched a partnership with BSNL (Bharat Sanchar Nigam Limited) which is the currently the biggest state-owned telecom company of India. With this partnership, the company can now reach out to more than 10 crore Indians. Surabhi Dewra, Founder & CEO, CareerGuide.com in conversation with Raju Moza representing BWBusinessworld says that times have changed and now startup ecosystem in India is evolving. 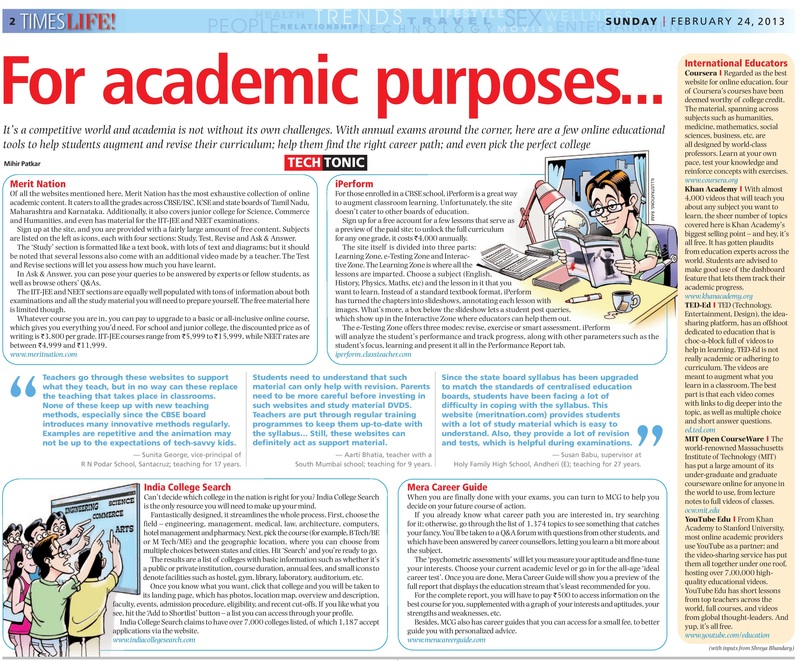 It is important for students to plan and build their career in a proper way, else there would be anarchy all around. Women empowerment is the process of treating the women with same status with that of men in all the fields of the society. Women Empowerment has become a movement now but in our country it only seems a distant dream. EdTech is a growing industry, with increasing profits on investments in just a few years. Edtech is emerging as the panacea for problems with the existing education scenario and is changing the face of education. In a survey conducted by Education Portal careerguide.com recently, response from 6,000 female students in the age group of 18-25 living in tier I, II and III cities and belonging to diverse background, were taken up. As many as 16 per cent of girls in tier I cities said they will opt for medicine as a career. Female students in tier I cities prefer to take up medicine as a profession, while those in tier II mostly opt for banking, according to a survey. In a survey conducted by education portal careerguide.Com recently, response from 6,000 female students in the age group of 18-25 living in tier I, II and III cities and belonging to diverse background, were taken up. In the 46th episode of TC Show Off, a weekly initiative that provides startups a platform to showcase their businesses, CareerGuide.com’s founder and CEO Surabhi Dewra explains how her firm is connecting students with experts for instant career advice. MeraCareerGuide, an online career counselling portal, has rebranded itself to CareerGuide.Com. The new format will help the students seeking career advice in receiving their answers instantly. At least 75% students prefer to go in for new-age career options over traditional careers, a CareerGuide.com survey to map career trends among students in metros and smaller cities has revealed. The startup ecosystem in India is attracting the country’s brightest minds. High flying corporate executives are no longer shy of donning the entrepreneurs hat. Investors are loosening their purse strings to fund risky ventures. This is probably the best time to be an entrepreneur in India. An average Indian student is confused for the whole of his life, not knowing if what they are doing is right. They are confused about their career and eventually end up with in a job with a heavy work load. CareerGuide.com was warmly received by students at Fr. Agnel School in Noida. The MCG team showed various tools that could help students choose and decide on a career path. Article written by Ishan Bairoliya. CareerGuide.com visited Happy School, New Delhi with the objective to provide students in classes 10th to 12th with an understanding into career counselling. As founder of CareerGuide.Com I end up spending numerous hours with students of various age groups hearing their career ambitions and aspirations. Of all, I enjoy most talking to young girls who are planning and preparing for their first job. I beam seeing their enthusiasm and ambition. Here are some career tips from my notes which I think will be useful to all girls. Right career decisions at right stage create a huge impact on one's life, the student of 9th and 11th standard in Mody School, Lakshmangarh, Rajasthan learnt this lesson after experiencing an informative and interactive career counseling session. An international career counseling event was organized at Midtown Grand, Haryana by CareerGuide.com to provide information about more than 200 modern career options and apprise the students about how to make right career choice. CareerGuide.com has changed the way career counseling is practiced in India and has enabled students to have access to the top counselors of the country. One can get career counseling by visiting www.careerguide.com while sitting at their home. In an event organized by ASSOCHAM National Excellence Awards, CareerGuide.com was adjudged- country’s Best Career Counseling Platform. 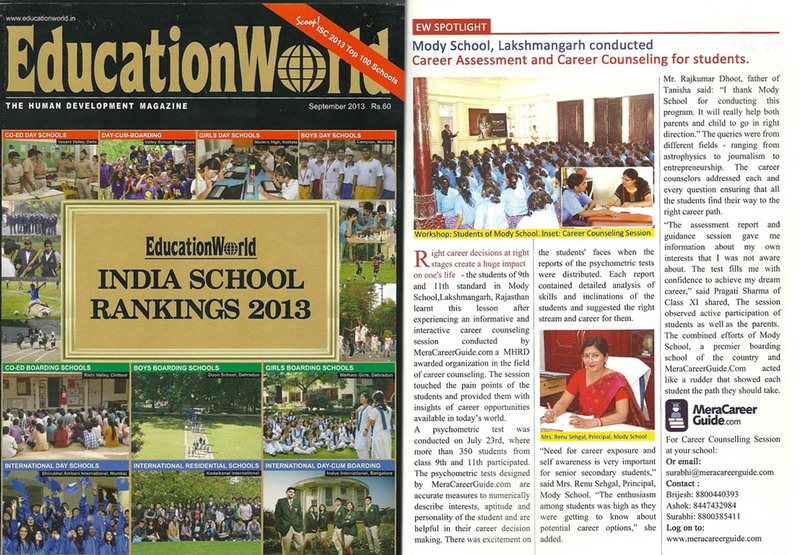 It was the first time when MHRD honored various educational institutions for their contribution. Innovative model of career counseling is going to benefit students to pursue the field of their interest with great conviction. It will help parents overcome the information barrier about modern career options and how to go about them. Which subject field should I choose after the school? Which subject field should I choose after the school? 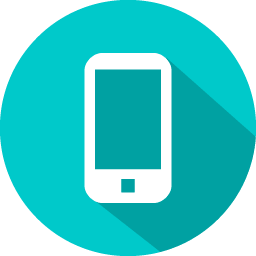 – This is the question that most of the higher secondary students keep pondering about. 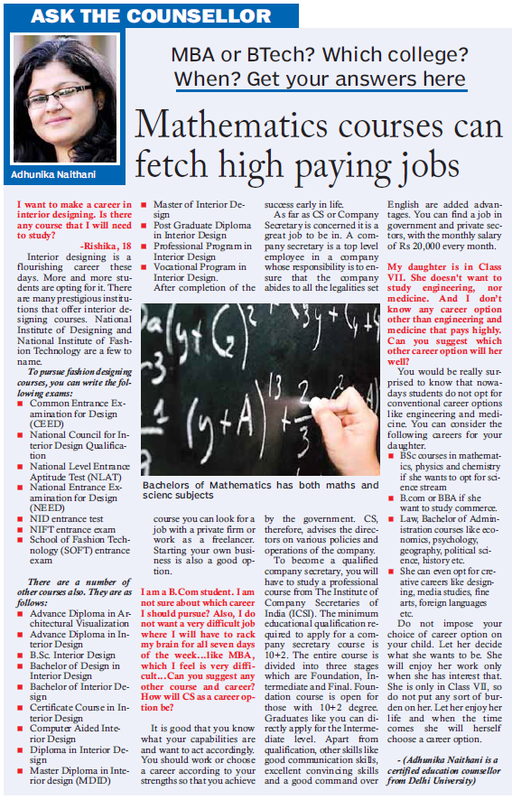 CareerGuide.com –India’s best career guidance platform, has invented the right key to solve their confusions. The future of our students looks brighter. Indiagames founder and angel investor Vishal Gondal and Walt Disney India chief Ronnie Screwvala have invested an undisclosed amount in CareerGuide.com, sources familiar with the development told Techcircle.in. My company started as a 'one woman' army; however, we are today a team of ten with a couple of contractors and a business that is growing. 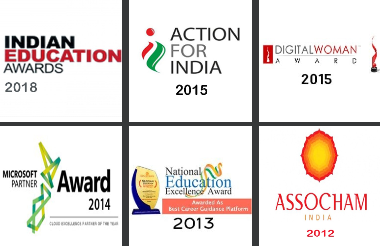 CareerGuide.com's is Assocham awarded customized online platfrom to solve thousands of career queries of urban and rural area students who do not have access to good career guidance services.